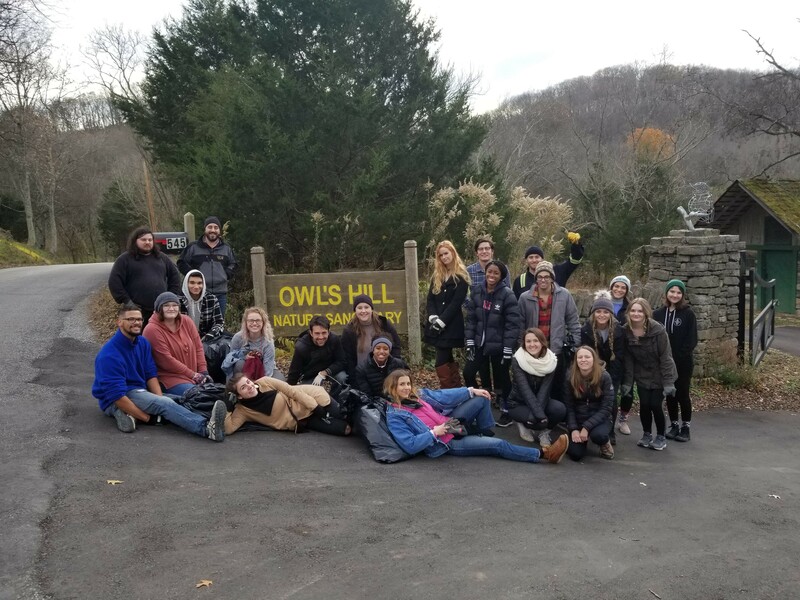 On November 24 and 26, students from Assistant Professor of Biology Dr. Matthew Heard’s Introduction to Environmental Science classes participated in a volunteer service event at Owl’s Hill Nature Sanctuary. During their time working at Owl’s Hill, the students helped to remove invasive species and clean up the native plant education gardens. In total, 42 students volunteered over the two days.